Preserving Republican influence over the president remains the best way to prevent Trump from doing something reckless or stupid. 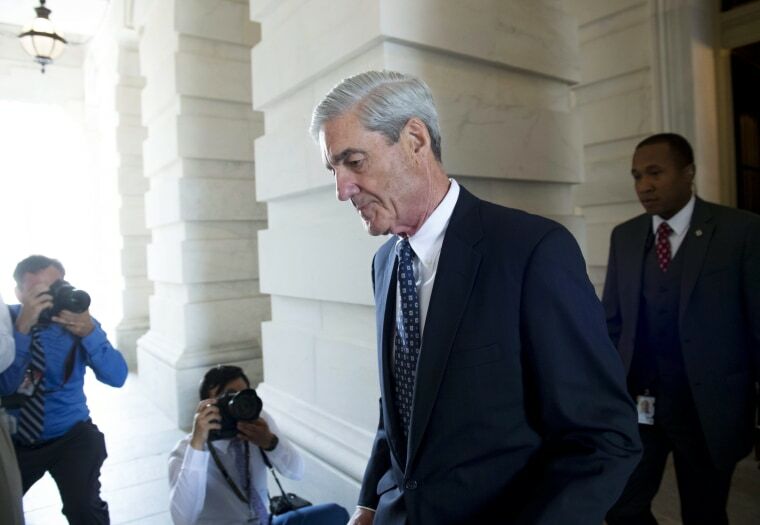 Once again, Senate Republicans have blocked an expedited vote on the Special Counsel Independence and Integrity Act — the bill that would, in theory, protect special counsel Robert Mueller and his probe from being summarily dissolved by presidential decree. The GOP’s more cynical critics would contend that this is only more evidence the Republican Party has been wholly co-opted by Donald Trump and is acting as his personal legislative phalanx. The naïve might insist that this is an entirely good faith intra-party debate over the constitutionality of the bill. The truth lies somewhere in the middle. The unsatisfying fact is that a careless strike at Trump by Congress would only make the crisis it is trying to prevent more likely. The unsatisfying fact is that a careless strike at Trump by Congress would only make the crisis it is trying to prevent more likely. Indeed, the idea that the chief executive enjoys unitary authority over his branch of government is arguably the prevailing view of some of the Constitution’s most influential framers. More to the point, the notion that the Department of Justice — of which Mueller’s office is a part — could prosecute the president is belied by this theory, which has guided departmental practice over the course of the last 40 years. This theory also suggests the president has the absolute power to remove members of his administration. And, as The Atlantic’s Adam Serwer convincingly demonstrates, there may now be a majority of justices on the Supreme Court who would agree. There are Republicans who are more convinced that the bill passes constitutional muster. Outgoing Senate Judiciary Chairman Chuck Grassley, R-Iowa, who presided over the committee when it first passed the Mueller protection bill, has characterized it only as an extension of Congress’s authority to oversee the executive branch. (He stopped short of dismissing concerns about the bill’s constitutionality, however.) And because the bill does not expressly prevent the president from doing what he likes, the notion that it trespasses on Article II strikes many legal scholars as a bridge too far. In other words, there is principled and genuine disagreement about the role Congress has in overseeing the executive branch. These arguments predate Trump and they predate Mueller. But this current debate is not really about the Constitution. It’s about politics, and the politics of this thing are as Machiavellian as they are morally ambiguous. “This is a solution in search of a problem,” said Senate Majority Leader Mitch McConnell this week. “The president is not going to fire Robert Mueller.” He added that he would likely block a vote on the measure if his conference tried to put it to the floor, as he has already done once before. “It’s not necessary,” McConnell said in April. “And just a practical matter even if we passed it, why would [Trump] sign it?” He wouldn’t, of course. But as the majority leader knows, that’s not the point. Congress passes bills that don’t have a prayer of making it past the president’s desk all the time. McConnell sent plenty to President Barack Obama’s desk. They are brushback pitches — statements of principle, not purpose. They are designed to communicate to both voters and the president what Congress will and will not tolerate from the executive branch. These parameters of presidential conduct ideally help ensure some level of legislative compromise. And a legislative legacy is largely how posterity distinguishes a successful presidency from an unsuccessful one. In reality, the biggest obstacle blocking this bill’s success isn’t Trump — it’s the House of Representatives, where a small but influential band of conservatives have spent much of Trump’s tenure lobbying for the dismissal of the Justice Department officials who appointed the special counsel in the first place. To present outgoing House Speaker Paul Ryan with such a bill would split his conference and created a political crisis within the House GOP. And that was before the Republican lost the House in the midterms. The situation won’t get any easier for McConnell once Democrats take over. A bill with bipartisan support would certainly have a better chance of succeeding in Congress, but it would also align both Republicans and Democrats in the legislature against the president. This, too, could backfire. Trump remains the most popular figure within the GOP among Republicans — a condition that would only be exacerbated by such a compromise. And if Trump becomes convinced that the legislative phase of his presidency is over and that his base voters have no regard for anyone other than him, the forces of moderation and restraint within the president’s party will have lost their influence over him. Paradoxically, such a course could hasten the constitutional crisis that would be brought about by a presidential-level effort to dissolve the Mueller probe. The surest way to prevent that constitutional crisis is to convince Trump not to inaugurate one. The reality is that a bill to protect the probe is unlikely to make it out of Congress. Even if it did, it may not survive scrutiny in the courts. But the status quo ante Republican Party represented by Mitch McConnell and others isn’t going anywhere. Preserving its influence over the president remains the best way to prevent Trump from doing something reckless or stupid. That won’t please “The Resistance,” but it will keep the Republic intact. Noah Rothman is the associate editor of COMMENTARY Magazine.